Jose Mourinho is known for not having any limits to his tongue and often lacking the reluctance to criticise anyone and everyone. But despite admitting his goalkeeper is the best at what he does, he yet again failed to keep his thoughts about a mistake to himself. The Red Devils found themselves trailing by 2 goals in under 50 minutes when they visited Selhurst Park on Monday. A goal from Andros Townsend took a wild deflection and sailed past David De Gea. This was then followed up by a goal from Patrick van Aanholt. But despite Chris Smalling initiating a stunning comeback aided by Romelu Lukaku and Nemanja Matic, the United boss wasn’t exactly impressed with all of his men. 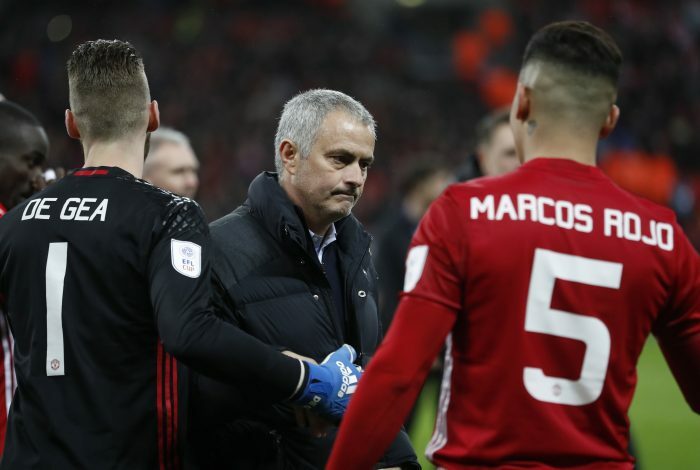 Though De Gea’s quick reflexes denied Christian Benteke a potential winner when the scoreline stood at 2-2, Mourinho felt as if the Spaniard should’ve done better earlier in the game in order to avoid the situation altogether. The Portuguese seemed to be unhappy about having conceded van Aanholt’s goal, as he believed someone of the Spanish international’s calibre should’ve made the save. And the ex-Real Madrid tactician promptly went ahead to make his concerns clear. “David De Gea had to do better with the second goal,” said the Portuguese tactician. Though it seems harsh to criticise the 27-year-old after conceding what were arguably 2 unlucky goals, these statements could be a great way to set high standards, as they could act as a catalysts for improvement.